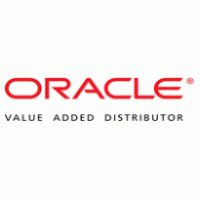 KeyBanc analyst Monika Garg maintained a Hold rating on Oracle Corp (NYSE: ORCL) today. The company’s shares opened today at $49.34. According to TipRanks.com, Garg is a 5-star analyst with an average return of 29.6% and a 82.0% success rate. Garg covers the Technology sector, focusing on stocks such as Aspen Technology, Blackbaud, and Autodesk. Currently, the analyst consensus on Oracle Corp is a Moderate Buy with an average price target of $54.65, representing a 10.8% upside. In a report released today, UBS also maintained a Hold rating on the stock with a $51 price target. Based on Oracle Corp’s latest earnings release for the quarter ending May 31, the company reported a quarterly revenue of $11.25 billion and net profit of $3.41 billion. In comparison, last year the company earned revenue of $9.19 billion and had a net profit of $2.21 billion. Based on the recent corporate insider activity of 57 insiders, corporate insider sentiment is negative on the stock. Most recently, in July 2018, Naomi Seligman, a Director at ORCL sold 45,000 shares for a total of $2,164,050.